UNC Vs. Duke! 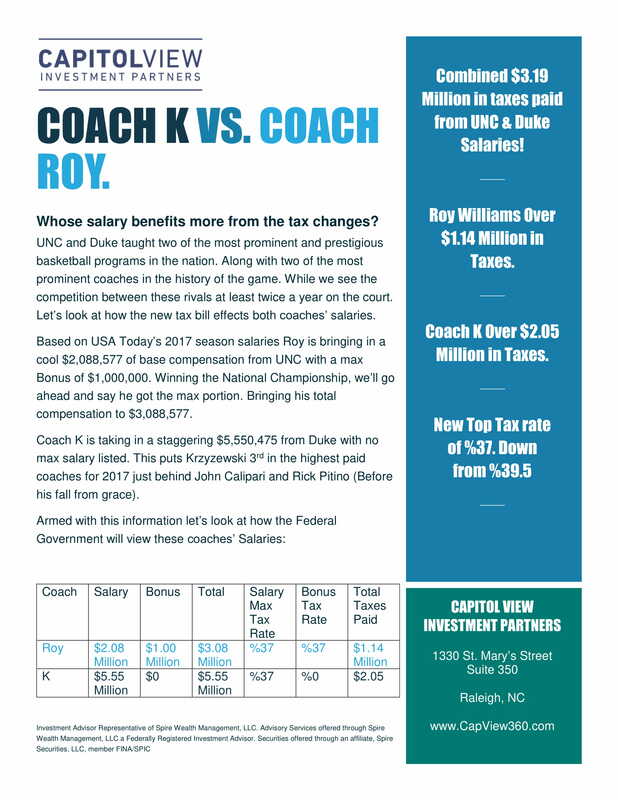 Coach Roy Vs. Coach K! Who’s the winner when it comes to the new tax cuts? © 2017 Schrum Private Wealth Management All rights reserved.